-The plastic cylinder can be taken apart and assembled for convenient use. - Removable tube to conveniently store when not in use. - Comes with smaller handle to hang up onto a hook when not in use. - The pick-up shag bag is easy for carrying and can pick up the golf balls for almost 60 pieces. - Makes practice easy and fun. 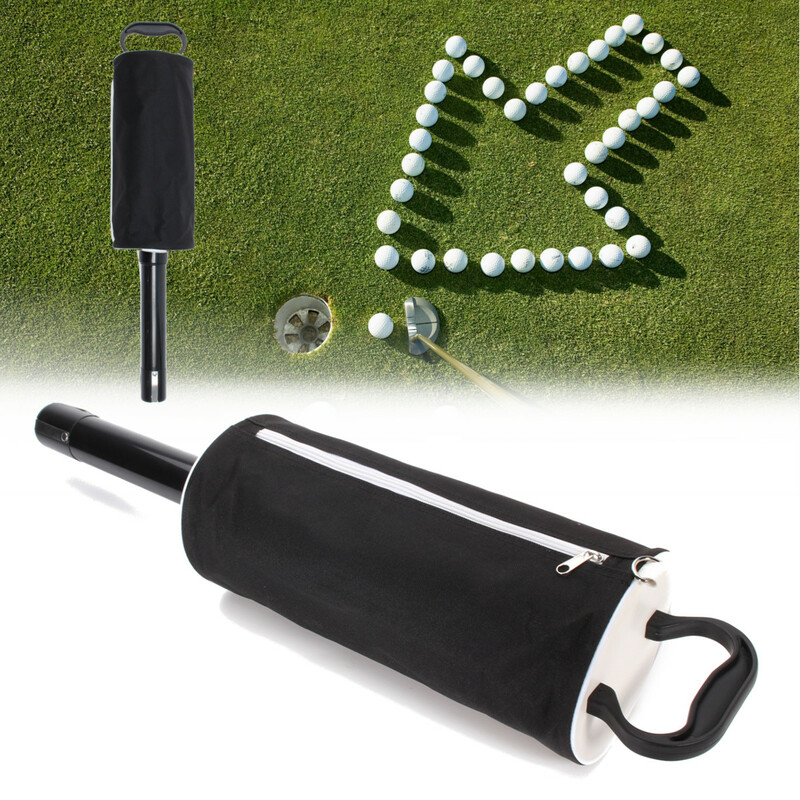 - Excellent gift for golfers.